The New Year is a mere two weeks old, time to take a look at what to expect for 2015. Find out about trending new practices, technologies and challenges, career opportunities and industry trends to prepare for. The project management industry seems to be evolving constantly and at an ever faster pace. 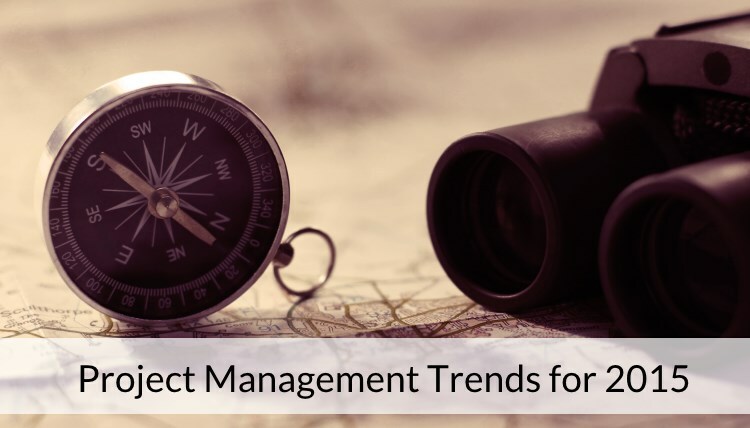 Project managers and teams need to stay ahead of the game and understand the most significant trends that drive the industry changes. Here is what you want to look out for in 2015. Companies are increasingly leveraging the global workforce and thanks to project management software and cloud-based project tools they can make the most of their remote project teams. Instead of working with large centralized teams at the company headquarter, they benefit from the virtual workspace for project planning, collaboration and communication. Working in remote teams also brings new challenges to the project work like different time zones, languages and cultures and, of course, a project tool that allows for effective collaboration. The Job Outlook 2015 results name problem solving skills one of the two most important skills that employers seek in their employees. This underlines the Project Management Institute’s report on continued increase in the need for project managers, the most capable of which are great problem solvers. The shortage of project managers makes talent retention even more important and all the more difficult. Companies should therefore focus on employee training and professional development programs in order to help their staff attain the qualifications most needed. The beginning of the end of agile? Is 2015 going to be the beginning to the end of “Agile”? Not really. As Don Kim mentions in his article on the Projectmanagement.com blog, he expects the hype about agile project management will cease and instead, agile project management will become an established project management method which is part of our common project management tool box. Especially areas that traditionally use the waterfall methodology will increasingly move towards agile project management. In the list of the most important skills for new hires, the top five are exclusively soft skills. Technological skills related to the job only comes towards the end of the list. The staple of project management tasks are administrative and effective communication skills as well as the ability to work in a team structure are what is most important when it comes to successful project delivery. Project risk management already is an incredibly important aspect of project management. With agile turning more and more into a mainstream project management methodology, it will become even more important in the New Year. Even though there are software tools that help identify project related risks, it will be the project manager’s job to assess potential budget and scope overreaches and keep the project on track. As with all aspects of the corporate environment and project management, change is never ending. I’m sure there are trends I have missed, so feel free to comment below and add what you are looking out for in 2015. 5 Hot Project Management Trends to Look Out For in 2015 - InLoox • Copyright 1999-2019 © InLoox, Inc. All rights reserved.